“Companies are starting to broaden their horizon.” Despite struggles, Elorm Damalie (left), Jacob Stevens-Yager and Vera Fovet are seeing a positive trend in international employment in Finland. Minor issues stand in the way of great potential. Fresh out of school, finding work here may be a tough path for international students. Finnish universities are constantly trying to draw international talent. The University of Turku (UTU) currently holds some 1 600 international students from over 100 countries. Whether Finland's sluggish economy provides these professionals proper jobs is questionable. I met with Law and Information Society (LiS) students Vera Fovet and Jacob Stevens-Yager as well as business student Elorm Damalie to discuss, what the future holds for international students. After finishing their studies, both Fovet and Stevens-Yager would like to work in data protection. Damalie wishes to find a job in his field, information systems. Upon graduation, international students have to decide between finding work in Finland or setting sail abroad. Sometimes there is no choice but to choose the latter. The three agree on the matter. In a competitive job market, international students´ shortcomings in Finnish stick out like a sore thumb. “I was bluntly told that, if I don’t know Finnish, I am screwed”, Fovet recalls. The prospect of working in Finland appeals to the students. Hailing from France and Ghana, countries with high levels of company hierarchy, Fovet and Damalie are pleased with strong trade unions and lateral company structures in Finland. However, this is a double-edged sword. As it is difficult to lay off workers, companies are very cautious and conservative with their employment decisions. It is tough to break into the industry. “We don't really get to prove ourselves”, Damalie says. Employers might not see past initial inconveniences such as the language barrier. This is unfortunate, as beyond lies a crowd filled with grit and hustle. “International students' willingness to leave home, get past a rigorous selection process and work in lackluster jobs shows their character, their desire to succeed” Stevens-Yager argues. “International students are hungry”, Damalie punctuates. The students also emphasize international students as being cosmopolitans. They bring new perspectives into stagnant workplaces. They act as bridges for companies looking to expand abroad or strengthen their foreign relations. There is some disagreement between the students on how tough international students really have it. Fovet ended up in UTU after a yearlong work stint in Helsinki. Stevens-Yager landed a job in Unicef after four months of studying here. Both of them praise the LiS-program for arranging internships, albeit usually abroad. For Damalie, finding employment here has been a struggle. An inch away from graduating, the well-connected research assistant has had to constantly outperform his counterparts just to get to interviews. Among other things, international students act as bridges for companies looking to expand abroad or strengthen their foreign relations. Some professions are by definition challenging for international students. Turun ylioppilaslehti contacted three major law firms, Hannes Snellman, Eversheds and Castrén & Snellman. Each of them employed very little, if any, international attorneys. To practise law, one should have quite a thorough knowledge in country specific law and language. Fortunately for international students, most career paths don't require such commitment. Johanna Rönkkö, the Head of Talent Acquisition in Nordea Finland, states that the most important factors she looks for in candidates are raw skill and ability. Excluding customer service, Finnish language is not always required in the financial industry. Rönkkö points out that some of their departments, especially in the IT-field, are run in English. 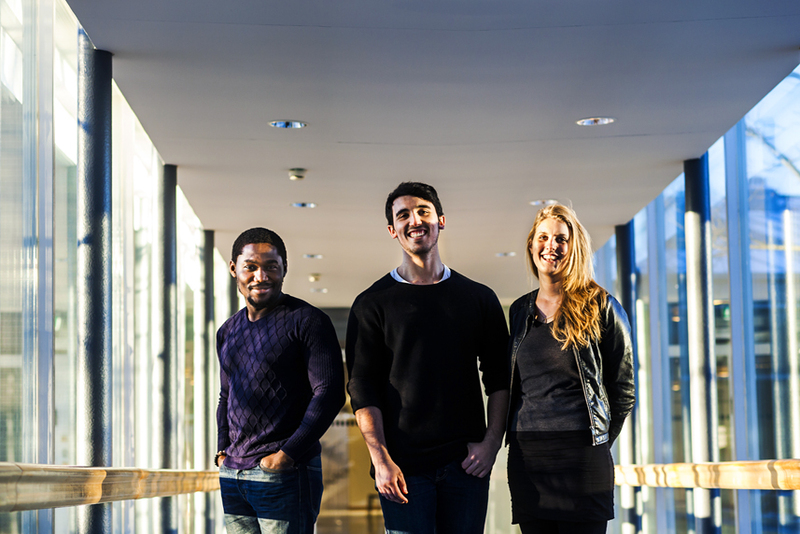 Nordea primarily hires international students from the fields of law, business and tech, although Rönkkö emphasizes the importance of all academic backgrounds. She shares the same opinion as the students in that international students are valued due to their diversity. “The financial industry requires multifaceted talent”. When seeking employment, Rönkkö advises international students to recognize their core competence: their expertise as well as their unique background. She urges students to pick up the phone and convince employers that this is exactly what they need. Majority of international students who receive their education in Finland do not find employment here. A study conducted in 2011 found that only 45 percent of international students were employed in Finland within one year of graduation. Another study from 2016 found that of those employed, roughly two thirds reported their work corresponding with their level of education. Graduates from universities of applied sciences (UAS) fared better against graduates from universities in terms of employment. One study suggests that the longer programs and more practical approach of UAS as well as the mandatory internships integrate students to Finnish working life. Masters programs on the other hand tend to steer students towards academia and international careers. Those who graduated from the fields of nursing, social work, and health care had by far the best employment rate (68 %) Those with doctoral degrees had the lowest employment rate (37 %). Sources: Centre for International Mobility (CIMO), and Research Foundation for Studies and Education Otus.